Who is the only driver to record three back-to-back wins in the Singapore Grand Prix? 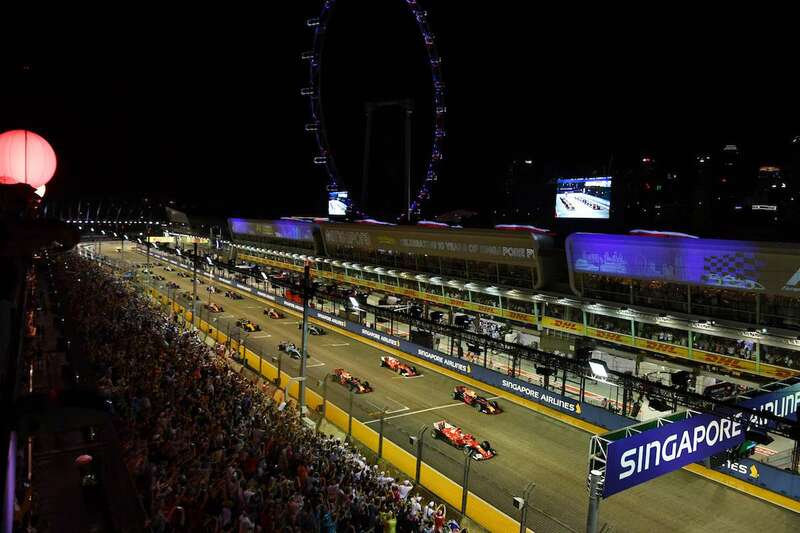 Which local company has been the title sponsor of the Singapore Grand Prix since 2014? What’s the name of the large Ferris Wheel near the final corner at the Marina Bay Street Circuit? Fernando Alonso won the inaugural 2008 Singapore Grand Prix after the deliberate crash of his teammate, Nelson Piquet Jr. From what position on the grid did Alonso start the race? Located in a historic building dating back to 1928, which 5-star hotel is right next to Turn 13 on the Marina Bay Street Circuit? When taking the MRT (metro) from Singapore airport to the city, at which station do you need to switch trains? Which of the following is NOT an official language in Singapore? Earlier this year, US President Trump met with North Korean leader Kim Jong-un at a luxury hotel on which island off the coast of Singapore? What’s the name of the most popular street for shopping in Singapore? Which driver scored his only points of the season in the 2017 Singapore Grand Prix? 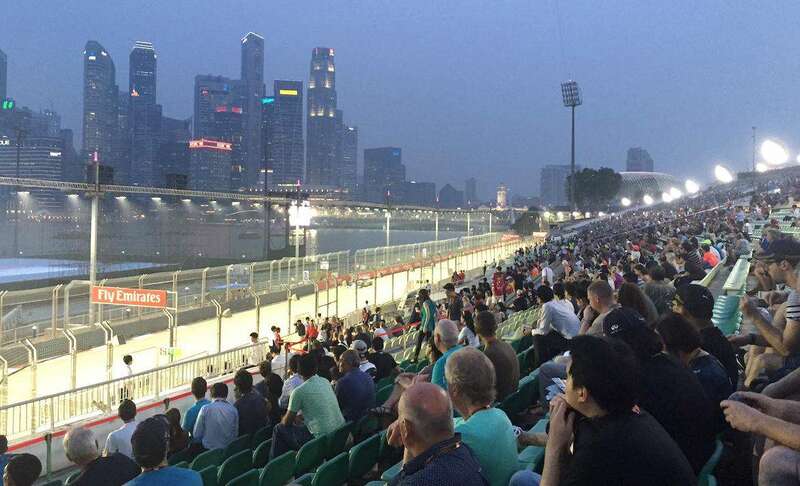 It looks like you need to plan a trip to the Singapore Grand Prix. Well done, you've got pretty good knowledge of Singapore and the F1 night race. 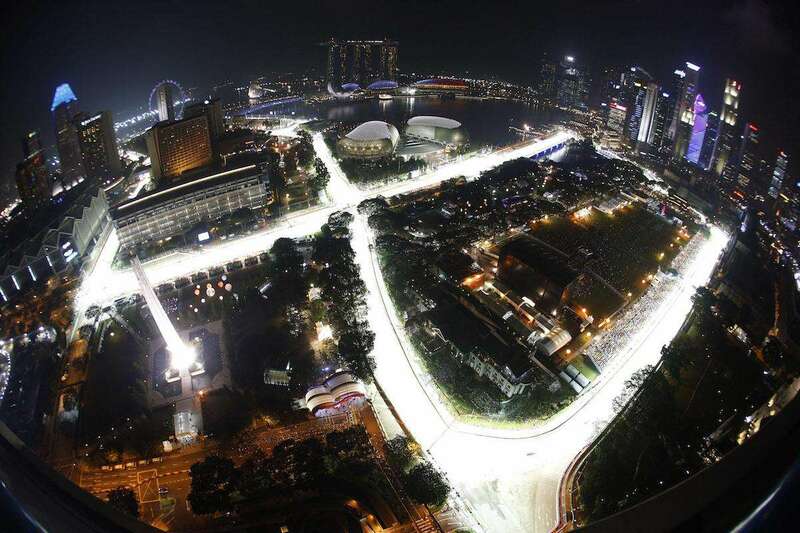 Excellent result, you really know your stuff when it comes to the Singapore Grand Prix! Wow, your knowledge of Singapore and the Singapore Grand Prix is exceptional.